The Oregon State University School of Civil and Construction Engineering placed three teams among the top three in their respective categories at the 27th Annual Associated Schools of Construction Region 6 and 7 Student Competition, held Feb. 5-8 at the J.A. Nugget Casino Resort in Reno, Nev.
OSU captured two team titles at the event, winning the Marine and Mechanical contests while the Determining Project Risk squad finished in second-place. The marine victory was the fourth for OSU and the second in the last three years. Marine team members for the competition included OSU students Nicholas Briesach, Jeffrey Brink, Chris Duty, Daniel Freitas, Evan Gross and Damien Pulley. 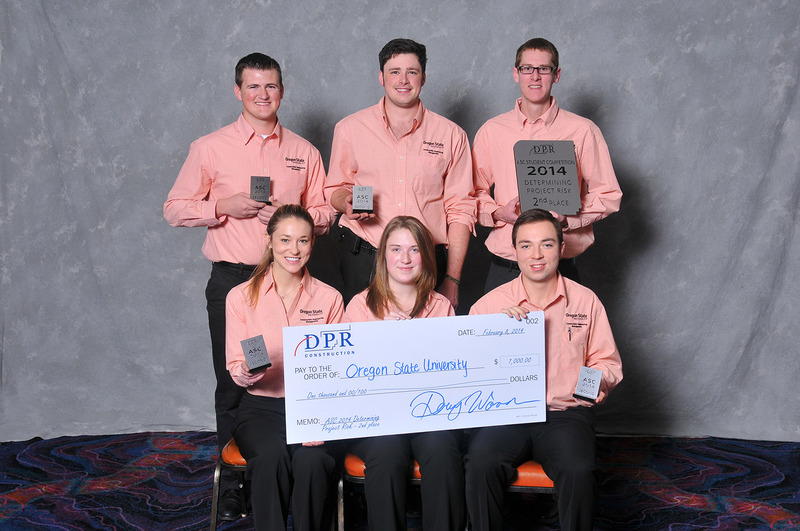 OSU students Lucas Brown, Robbie Mize, Jason Powell, Blain Rennels, Elijah Thibodeau and Chad Walker formed the mechanical team as OSU captured its third straight (fourth overall) win in the category. Meanwhile, OSU juniors Thomas Bancroft, Sarah Cochenour, Erik Green, Sarah Leads, Jeff Nakashima, Barret Neumayr and Patrick Van Epps led the school to a second-place finish in the ‘Determining Project Risk” competition. OSU also fielded teams in commercial building, heavy civil and multi-use structures, rounding out an impressive showing by the school at the annual event. The school’s participation at this year’s event was made possible through faculty and staff support in addition to the generous contributions from a number of industry partners. The annual student competition, which features thousands of students from institutions in 13 states, is held by the ASC, the professional association for the development and advancement of construction education, where the sharing of ideas and knowledge inspires, guides and promotes excellence in curricula, teaching, research and service.